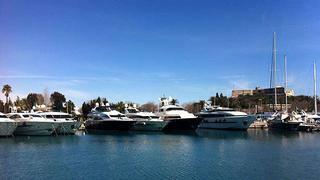 Tom Barnes at bluewater in Antibes confirms the sale of a 30mx7m superyacht berth in Port Vauban, Antibes. Port Vauban, the largest marina in Europe, has a heliport within the port and often contains some of the worlds largest yachts. Berthing is alongside and stern-to. The berth had a standard lease until 2021 and was asking €1.2 million.